Two days before Natasha and Jason's wedding, I had the pleasure of photographing Natasha's Mehndi party. It was a great opportunity to get to know Natasha's family and friends, whilst the henna artist, Gurdeep Grewal, applied beautiful bridal mehndi tattoo designs with incredible skill and precision. 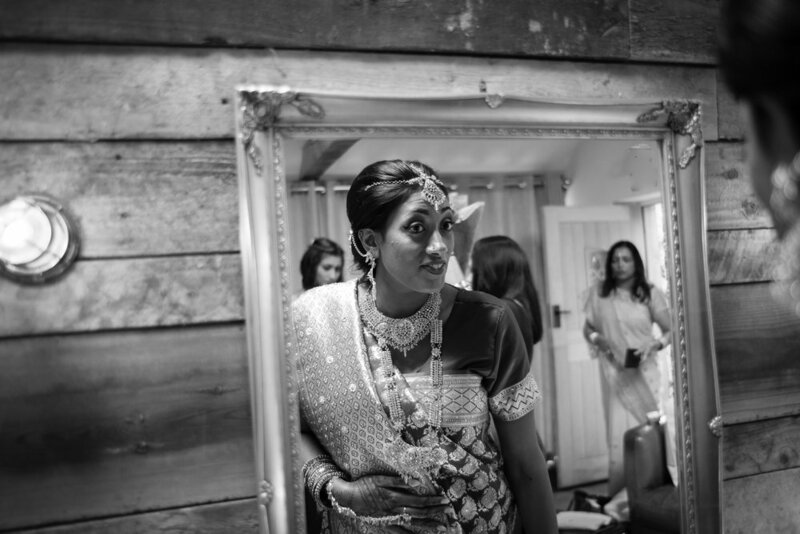 Natasha and Jason chose The Tythe Barn in Launton, near Bicester, as the venue for their Hindu wedding ceremony, followed by their civil ceremony. Natasha's bridal preparations took place in The Tythe Barn's "Nook", a stylish and secluded haven for the bride and her bridesmaids to get ready before the ceremony. The Hindu wedding ceremony took place under the mandap, representative of a sacred temple, with the guests seated on benches in the barn's gardens. Natasha made her entrance under a canopy held by cousins who had flown from Mauritius to attend the wedding, and looked stunning in a blue and gold sari. The ceremony included all the key traditions of a Hindu ceremony, including walking round the sacred fire four times to symbolise righteousness, prosperity, happiness and freedom (Parikrama), and taking seven steps together to express sharing and equality within the marriage (Saptapadi). 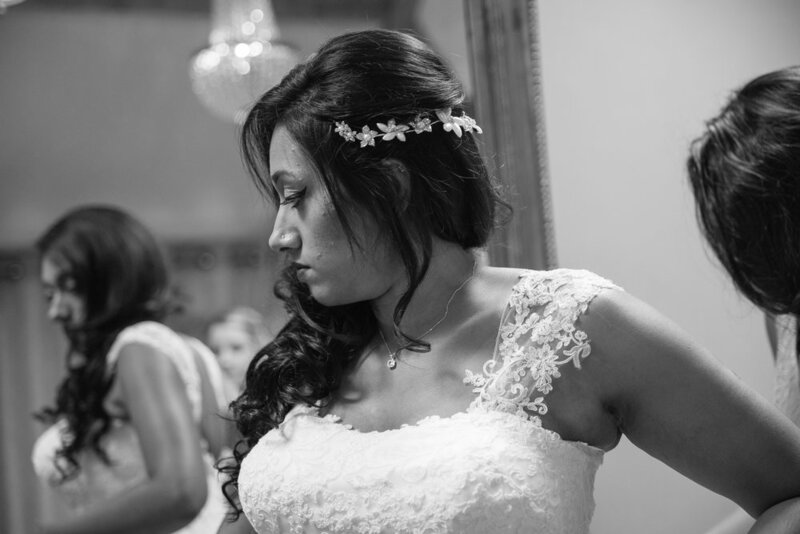 After the Hindu ceremony there was a quick change of outfit for the bride, groom and bridesmaids, and for the civil wedding ceremony, Natasha emerged wearing a stunning white lace bridal gown. After the civil ceremony, the guests enjoyed drinks and canapés in the sunshine, before sitting down to enjoy the speeches and the wedding breakfast in the barn, and entertainment by traditional Mauritian dancers in the evening. Thank you for inviting me to document your spectacular fusion wedding, Tasha and Jason!